Enjoy the unique experience of Cascade Ridge. Cascade Ridge is a private development located in Big Sky Montana that offers real estate opportunities and vacation rentals. The picturesque setting of Big Sky complements the impeccable design and detail of the mountain homes at Cascade Ridge. 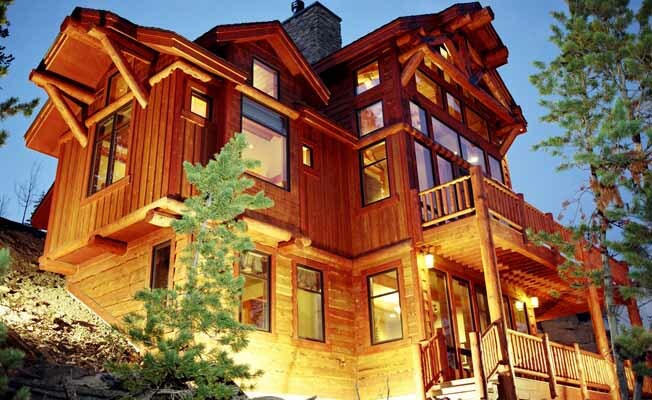 Conveniently located and providing ski in/ski out access to Lone Peak and The Big Sky Resort. Cascade Ridge is a place to remember. Cascade Ridge is currently comprised of five homes and a private lodge, open daily, for use by owners and guests. This small community provides an intimate environment for families and functions. No detail is overlooked in service and function. The spacious floor plans of the homes and lodge accent the grandeur of this hill top setting. Feel free to contact us with questions or to reserve your stay.